It started with Banana Foster, an Iconic New Orleans treat. The delectable flavor in this French Creole classic dessert inspired us to create our blend. 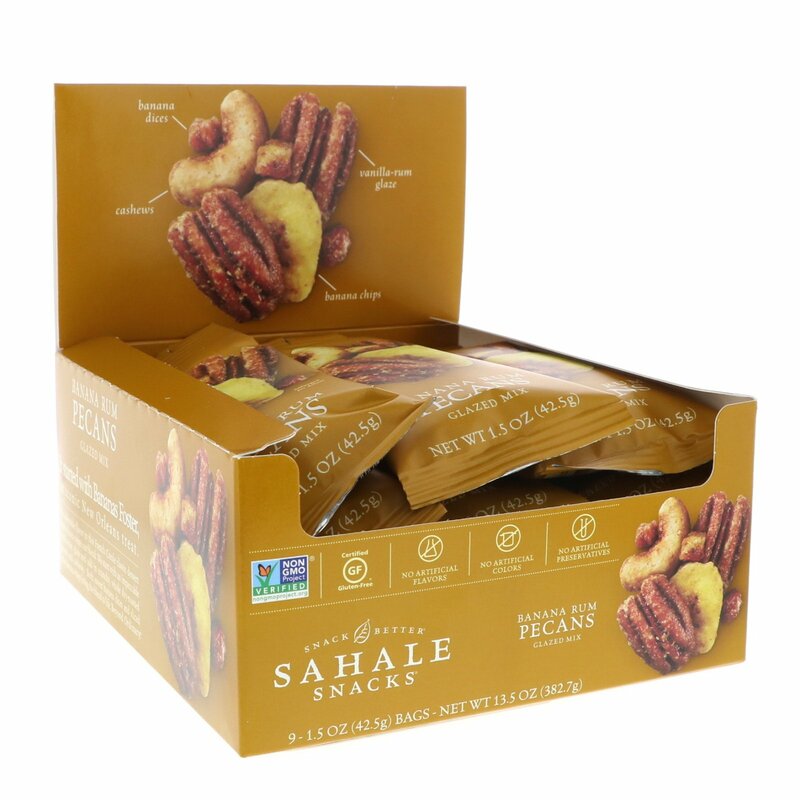 We start with an impeccable vanilla-rum glaze and add in crunchy, whole dry-roasted pecans and cashews. 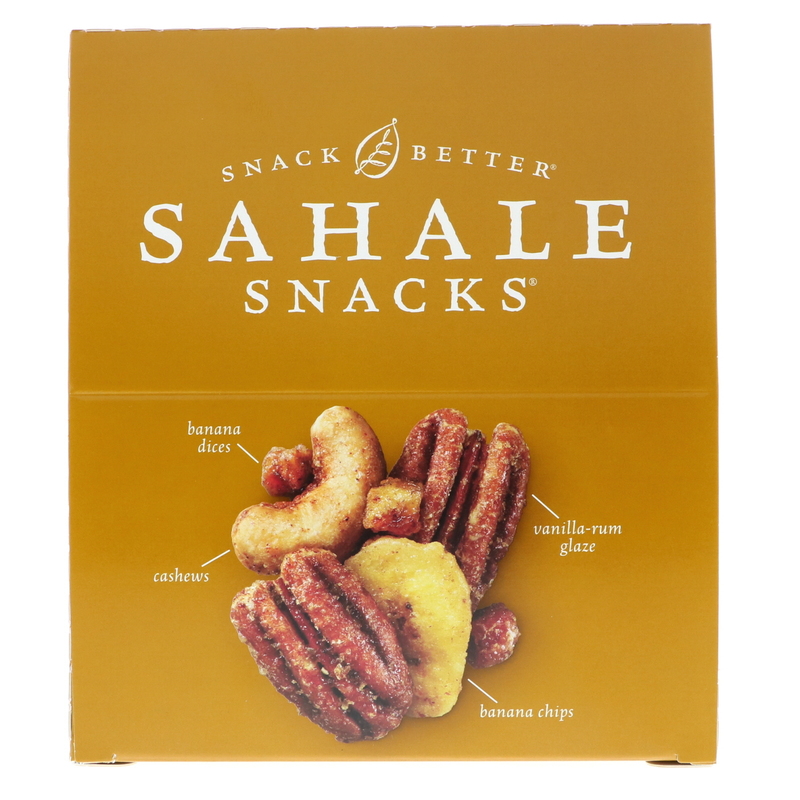 Both sweet banana dices and sliced crisp banana chips bring the blend to life. Beyond Ordinary. 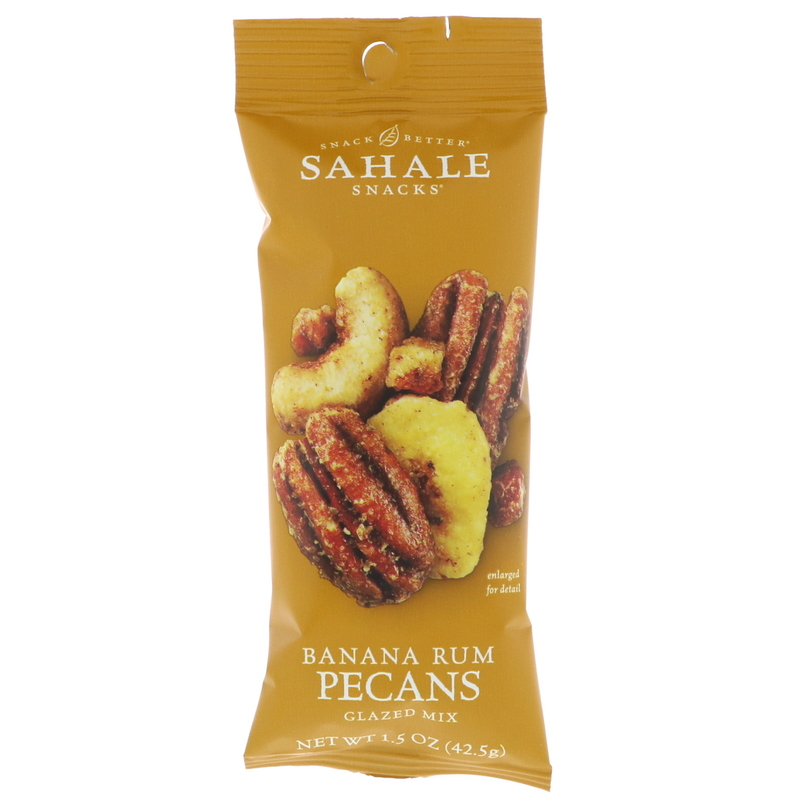 Pecans, cashews, banana chips (bananas, coconut oil, cane sugar), dried bananas, brown sugar, organic tapioca syrup, dark rum, organic cane sugar, sea salt, organic extra virgin coconut oil, natural vanilla extract, natural flavors, cinnamon, dried orange peel, nutmeg, pure ground vanilla beans. May contain almonds, pistachios, walnut ingredients.